Gardening and doing your own tree trimming can be a pleasant hobby. On the other hand, removing the brush bushes is not an easy task. Also, a lot of homeowners do their own gardening and tree trimming but are unsure of what to do with the discarded wood and branches. Other times, homeowners are left with the remains from a tree and stump removal done by another tree service company. We are aware that these things sometimes happen. But no worries, we can take all those problems off your hands. 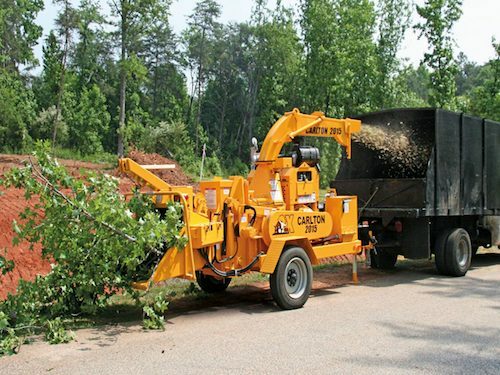 In fact, we do accept stand-alone landscape cleaning jobs and bush brush removal. When you call us for those services, we would be sending well-trained workers to give you an honest quote and discuss the details of the work with you and start doing the work as soon as possible. 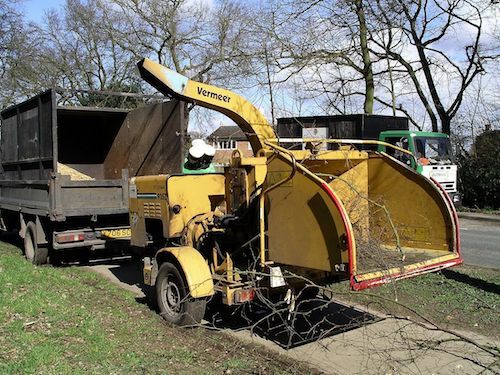 While the work is carried out, we would have a wood chipper on standby and that is where we'll place the discarded wood and the chipper will turn them into mulch. At this point, it's up to you on whether you want us to keep the mulch or if you would like to use it yourself. If you choose to keep the mulch for your gardening, we could offer to service your landscape. We could distribute the mulch across your garden turning it into natural beddings for your plants. Our professional garden designers would turn your lot into an aesthetically pleasing botanical wonder. 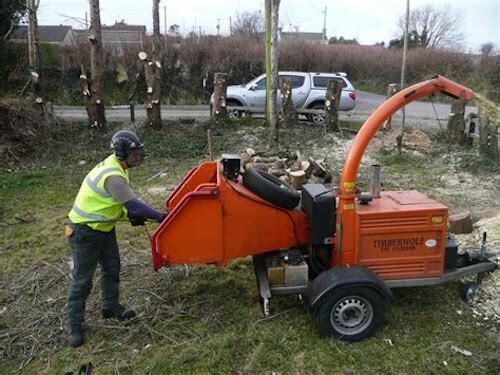 Prices for our wood chipping vary on the sizes and the amount of wood that would be discarded. As mentioned earlier, what happens to the wood chips solely depend on you. Should you keep the wood chips, here's a list of some of the things you could do with it. Mulch - they can be used as good beddings for your plants because they help retain water and suppress the growth of weeds. Additionally, the chips can protect your plants from freezing by sprinkling the wood chips atop your plants. Fuel - chips are great as fire starters and to keep the firewood burning. Decoration - using wood chips in the vase of dried or artificial flowers can stabilize them, keeping them upright. Carpentry - wood chips can be added to making furniture. A skilled carpenter can create patterned shapes using the chips and apply it to the furniture. On the right hands, the combination of these materials can create beautiful and stylish furniture. Walkway and play surface - wood chips provide safe, non-slip surfaces for kids and the chips would also cushion falls. Erosion control - wood chips could be used as temporary erosion control. Apply them on the affected area and they could hold the soil together, working as a barrier to suspend the erosion for a period of time. You need to apply the chips constantly onto the eroded areas until you come up with a more permanent solution. Should you decide to keep the mulch, you have to store it in a dry place while maintaining room temperature. Always remember, no job is too big or too small for us. We value any opportunity in showing you our commitment in providing you with every tree servicing needs.